More lift packages than ever for 2018! Same day shipping for most of our products! Sales and Technical Support available 7 days a week! The Boat Hoist USA line of flat plate hoists are the most advanced and best engineered flat plate hoist on the market. 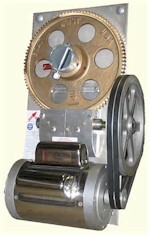 For the price, a good flat plate hoist will out perform any other hoist in strength, longevity and lifting capacity. Click on select models below for more information.